This Sunday's show and sale at the Barn is fast approaching! Our quilts will be hanging throughout the beautiful Centennial Barn lobby, which we've been so thankful to enjoy as a meeting space the past few years. This is a great chance to invite your friends and family to see what we do, as well as enjoy some fall fun. You guys blew me away with what you brought to sell at the last meeting, so thank you again for that! If any of you didn't get to bring you items, you can just drop them at the table on the day of the event. If you have quilts to add, you can also bring them Sunday, but we need them there at 10am to set up. If you'd like to drop them at Sewn Studio instead, that's fine too, just make sure you tell them you are leaving it for Jessica. Since the August meeting was so jam-packed, we moved right into the fun stuff! Our meeting started with the mug rug swap. Teresa put all the mug rugs in a bag, and anyone who brought one to swap picked one out of the bag at random. Next month we’ll have a small bag swap. It can be any sort of small bag, including a pouch. 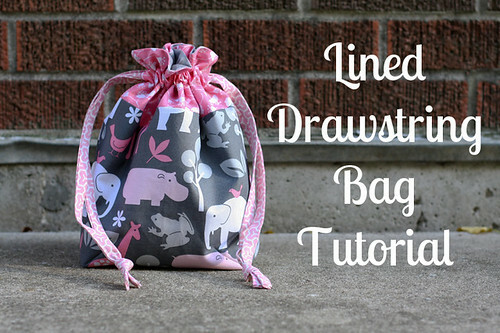 The drawstring bag tutorial from In Color Order is one idea for this swap, and we’ll post others on Facebook or the blog during the month. and a mug rug for herself in addition to the one she brought for the swap. a star quilt for her son that was inspired from the Mars land rover. She free-motion quilted this, following Holly’s advice from last month’s meeting. and her St. Louis 16-patch quilt that Jill just finished quilting. and a do. Good Stitches charity quilt. She was a quilter in this group for 2 years, along with 10 other people in each group. This quilt uses every color of the rainbow except purple, and no blacks or browns, with low-volume backgrounds. This quilt will go to Project Linus. Next Jessica showed a quilt that she made for her best friend from junior high and high school, who wanted a scrappy quilt. Jessica used Elizabeth Hartman’s Superstar quilt block. Cass made a quilt for charity from a quilt kit using Disney fabric. Carolyn made a quilt for a challenge from another guild where they made a quilt inspired by a photo. So she made a beautiful embellished wall hanging. And she brought her winning quilt block submission for the Generation Q block challenge. Congratulations, Carolyn! and a bag she made out of another beautiful vintage linen. Pam made a cute, modern pinwheel pillow. Christine made a quilt she calls Yellow Plus Pink, which she quilted with a figure-8, inspired by Holly’s presentation. and a beautiful Wonky Houses quilt. Judy brought a beautiful quilt made from a Fons & Porter pattern where she made a template and then cut her fabric, Moda Juggling Summer, using the template. After the break, Jessica announced that we are now officially members of the MQG! If you haven’t gotten an email yet from the MQG, you should soon. When you do, you can set up your profile where you can write something about yourself and link your blog and your Instagram with your profile. In the Forums section you can find out about challenges and lots of other things, like the current Riley Blake challenge. We joined the MQG just in time to enter this challenge. It is with Riley Blake Basics. You can add any solid fabric to the fabrics you are given, and you can add any print that is a Riley Blake print. 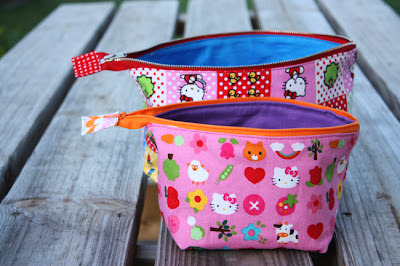 And you can make any quilted project with it. Project photos can be uploaded to the MQG online community. This isn’t a challenge about winning a prize but rather about being part of the whole modern quilting community. The projects are due sometime in December. If you didn’t sign up to receive the fabrics, send an email ASAP to cincinnatimodernquiltguild.com. The River City QG is having a show from the last Saturday in September through October 6 showing Charley Harper quilts and their River Runs Through It quilts. And Charley Harper’s new fabric line will be released soon. Sew Down is coming up in Portland, Oregon, and Heather is teaching at it! It will be a weekend of sewing together and taking classes and attending lectures. The Sew Down closest to us is in Nashville, April 11-13, and registration for this event will open in October. We have two events in one at the Centennial Barn Fall Festival, October 20, from noon to 5 p.m. We’ll do a quilt show and have a booth for a fundraiser also. 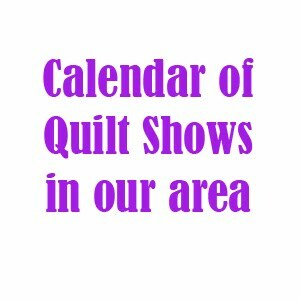 Members need to sign up to put a quilt in the show, so if you haven’t done that already and you want to show a quilt, email Jessica ASAP at cincinnatimodernquiltguild.com. (Update: We need more quilts for this! Please put two in the show if you can.) Bring your quilts to the October guild meeting. For our fundraiser booth, we are asking members to bring two sewn items that we can sell—baby items, small bags, etc. 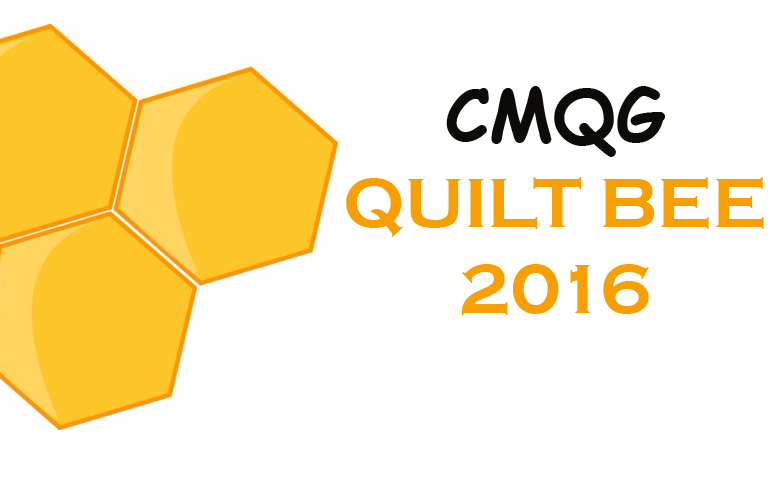 Also, we need people to work at our booth, so please email Jessica at cincinnatimodernquiltguild.com to sign up for this. We now have a Modern Quilting Resources page on our blog, and this is where we would like to include and promote our members. If you have an Etsy shop, longarm quilting services, or anything else quilting related, email Christine with your information. Sew In on September 28 at the Wyoming Library from 10 a.m. to 4 p.m. Bring some cash for lunch and let’s have fun sewing together! (Update: This project has been canceled, but here is what we discussed at the meeting, before we knew it was canceled.) Union Terminal sew-in November 16. We’ll have more info at next month’s meeting. Everyone in the community is invited to make a 9” unfinished square with their Cincinnati memories on it, for a giant quilt that will be on display at Union Terminal and at the Underground Railroad. and two flying geese quilts. Carrie brought her first quilt—a baby quilt that she made for her mother-in-law. Good job, Carrie! New member Lisa has discovered that she loves simple piecing and made two different quilt tops using aboriginal prints. Jill brought her beautiful Easy Street quilt. Jill also brought a fun quilt that she made for her dog sitter. Charlotte told us about the 14th Annual CQAFA (Contemporary Quilt and Fiber Artists) Quilt Show, which will be at the Cincinnati Nature Center October 18–20 from 9 a.m. to 5 p.m., with an artists’ reception on Friday evening, October 18, 5–8 p.m.
She also brought a colorful wall hanging she made. and two small quilts that she made for another project. Our next meeting is October 9, a week and a half before the Centennial Barn Fall Festival. Bring your small bag for the swap, two items to sell at the Fall Festival, and your quilts complete with hanging sleeve for the Fall Festival quilt display.